When you’ve just been made redundant, it’s very important to get your daily finances in order to comport with your new income level. A classic mistake people make in redundancy situations is try and maintain their living standards on a reduced income by running up debts, particularly through credit cards. Often it is the lump sum redundancy payment you get from your employer which leaves you feeling flush and encourages bad spending habits in the first place. When the money runs out, the spending continues, now financed by debt. It is very easy to rationalise this by telling yourself that the good times will soon return; you will quickly find a new job and things will be back to normal. Perhaps. But it would be wrong to base your life around that assumption. People who do this often run up £10,000 to £20,000 in credit card dent before realising that their circumstances have changed fundamentally and the repayments have become unmanageable. They may be forced into bankruptcy, which will tar their credit rating for the rest of their lives, or into debt peonage, in which they are working simply to repay debts for the next decade or two. It’s very important for you to find out what benefits you’re entitled to and claim them. Some people, particularly those coming from a high-income job, jib at the idea of living “on the dole”. But this is the wrong attitude. You have been paying for those benefits over the years through your National Insurance Contributions. It’s your money. All you’re doing is asking for some of it back. Most people are aware that they will be entitled to a payment by virtue of being unemployed. This, in fact, can take various forms. If you have made enough Class 1 National Insurance Contributions, you will get Contribution-based Jobseekers' Allowance. Otherwise you will usually get income-based Jobseekers' Allowance. Your eligibility for the latter, though, can be affected by the level of savings you have and by your partner’s employment income. Beyond unemployment benefit, though, you may have other entitlements. 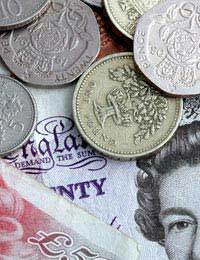 With a now reduced income, you may well be entitled to Council Tax Benefit. If you rent your home, you can claim Housing Benefit. Unfortunately if you’re a mortgage payer, however, the help you can receive is more limited. Moreover, it doesn’t even kick in until 9 months after you have become unemployed, although from 2009 on this is due to be reduced to 3 months. These entitlements are explored more fully in articles elsewhere on the site. Constructing a budget by listing all your outgoing expenditures, together with your income (if any), is often a very helpful exercise. Putting it all down in black and white lets you see things in perspective, and allows you to think about which expenditures are hard and fast requirements and which have some give-and-take in them or could be dropped altogether. It’s a good idea to take stock of your regular outgoings and think about where money could be saved. Very often, we get locked long-term deals with a company supplying some kind of service, become vaguely aware that the supplier isn’t the cheapest, but stick with them anyway because, faced with the daily grind, we feel we don’t really have time to research the issue properly. Well, redundancy gives you time. And Internet comparison sites now make it easier than ever to find cheaper alternatives. Examples of the areas where you might look for savings include : electricity supply, broadband, cable or satellite TV and mobile phone contracts. Adjusting from a freely spending lifestyle to a more restricted one requires discipline. But if you fail to make the adjustment, and the economic winds continue to blow badly for you, the experience of redundancy could derail your life quite seriously.